There are lots of free spyware removal tool available but it’s hard to decide which one is the best. After a long research, we have made a list of Top 12 Best Free Spyware Removal 2017. Spyware is refers to a different PC infection or hostile or intrusive software that are created to the intention of damage or disable computer operation or gain access to private computer systems. It is designed to spy on and steal personal data and confidential information. 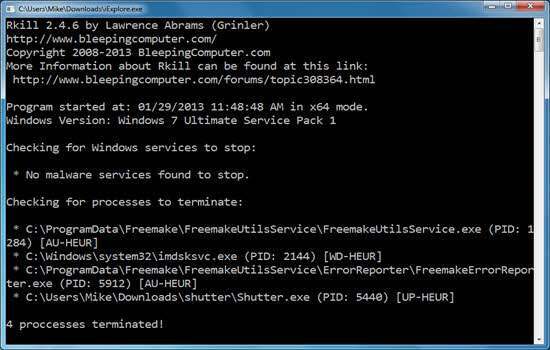 Spyware removal tool lets you to detect, block and remove spyware from your PC very easily. 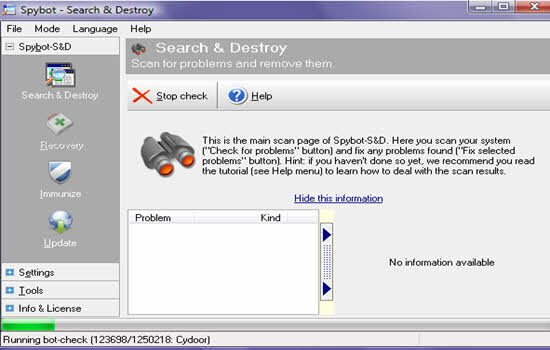 Spybot Search & Destroy has been around for a very long time and is very popular for finding and removing spyware. It is available in a multitude of languages. It scans your computer for known spyware and any privacy invading elements which are track your surfing behavior. After scanning, it will show you a described report which gives you the option of removing elements. It has a feature named Immunization which interacts with the web browser to block known malware sites. If you want to download the latest signature, you just click the update button on the second window. When installing Spybot, there is an option that will be asked to you whether you want to be protected by design or whether you want better control and response from the program. So, pick the option that you want to. After installation, it will offer to create a Whitelist which is a process of indexes files for faster scans. 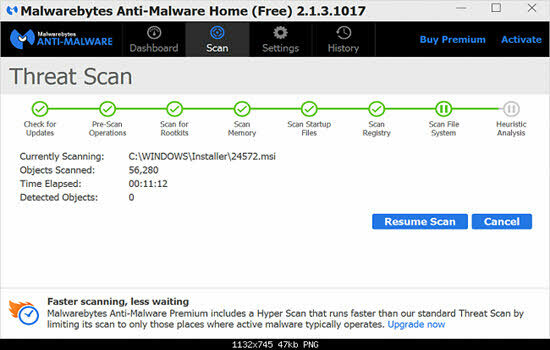 Malwarebytes is one of the most download free anti malware software that is popular its spyware and malware removal capacities. Its free version includes anti-spyware, anti-malware and anti-rootkit protection. It does not include real-time protection, so malware cannot block from installing itself onto your system. It would only be removed when you ran a manual scan. It can also remove pre-existing malware onto your system. Its installation also includes another application called FileASSASIN is a handy tool for scrapping locked any Windows files. This program can be installed in Windows safe mode and has the ability to remove those spyware which is unable to detect by your mainstream antivirus program. It can repair damaged file and removes malware like root kits, spyware, Trojans, worms etc. There are several different options for selecting how the program scans. This software is very simple and easier user interface. 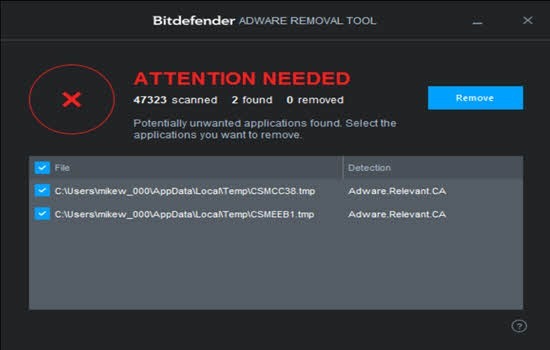 BitDefender Adware Removal Tool is another free spyware removal application. It is available is Softpedia database to download it. Its targets PUPs, hijackers, browsers add-ons and toolbars. The software is a single executable file to launch Bitdefender from any location on the mass storage device. It does not create extra files on the hard drive. This software scans all major parts of the operating system to detect spyware, shows the total no. of scanned items and removed them. It uses state-of-the-art scanning technology, so it has the ability to review toolbars and application before removing any spyware from your computer. If you want to allocate system resources to other program, you can pause the scan at any time. 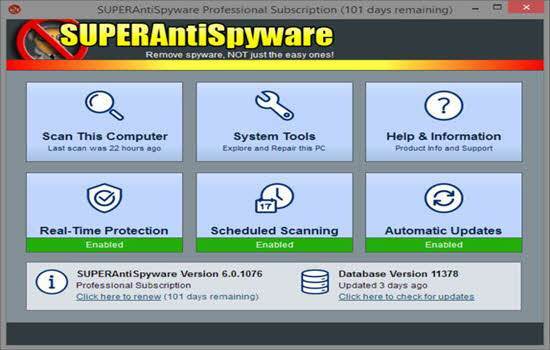 SuperAntiSpyware is another free spyware removal tool which target is a wide range of PUPs, including spyware, viruses, worms and Trojans. It detects and removes spyware, malware, adware, rootkits, worms, keyLoggers, hijackers, parasites, Trojans, dialers and many other threats. It lets users to set trusted items and exclude folders and also provide custom scans. It lets you to set specific folders for scanning, customs scans and doing quick scans. It has “Quick Scan” option to scan crucial PC files and also a “Custom Scan” option to customize your quest. It can also repair broken internet connections, registry editing and desktops. 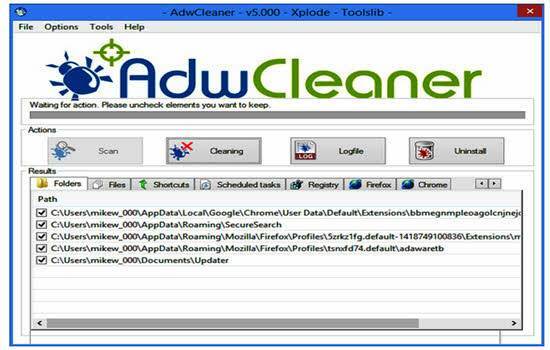 AdwCleaner is very simple to use. It focuses on spyware, adware, toolbars, browsers hackers etc. It is designed to detect the various types of viruses, spyware, Trojans, malware, rootkits, and hackers. It doesn’t allow users to configure any option. You just need to click “Scan” option to make sure everything checked is unwanted and after that click “Clean” options. It has also a portable version that allows running from a USB stick. Platform Availability: Windows XP, Vista, 7, 8, 8.1 and 10. 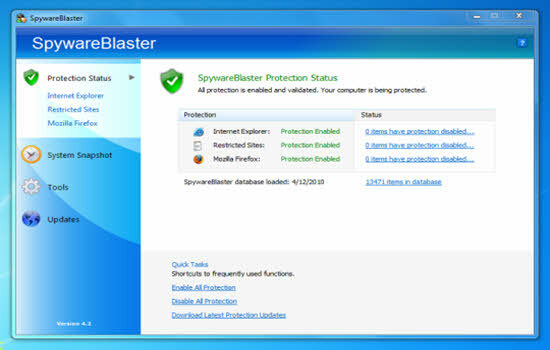 SpywareBlaster is very powerful protection program available in the market. It focuses on Spyware, malware, adware, dialers, browser hijackers and many other threats. It is built to utilize multi-layered strategy to block these unwanted threats from multiple angles and providing more powerful and more flexible protection. It prevents the installation of ActiveX-based spyware that is very dangerous threat and other potentially unwanted programs and dangerous web sites and also block spying or tracking via cookies. It does not run in the background. It does not slow down your computer and web browsing and also it does not interfere with the “good side” of the web. Trend Micro Hijack is one of the most renowned free spyware removal tools. It works to prevent malicious and spyware programs from attacking your system registry. It goes to deep down into your system and detects the problems and allows you to fix them. After scanning, the results will be displayed and then you can choose to fix them. There is a configuration section that includes host file manager, a process manager, an uninstall manager, ADS spy and NT service detection tool. It is designed to detect the various types of viruses, spyware, Trojans, malware, rootkits, and hackers. Norton Power Eraser is the virus and spyware eraser tool. It has always been a tough competitor when it comes to spyware removal tools. It can detect and remove any kind of malware threads. Norton Power Eraser has various types of features to remove spyware. 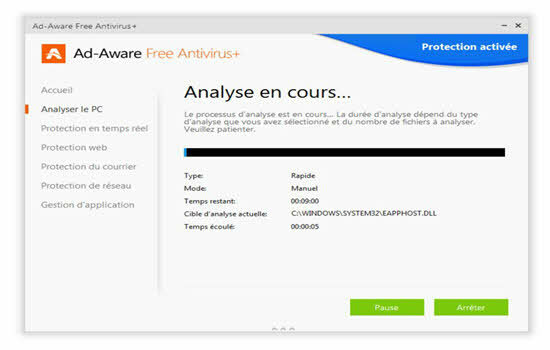 If you feel your computer is infected with viruses, spyware or malware then you can use this removal tool. 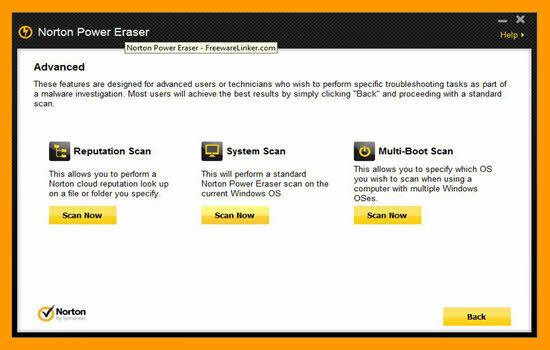 Norton Power Eraser is designed to remove scamware that is like a kind of virus. It has new version scanning technology to detect and remove known and unknown threats. Sometimes it can select some legitimate programs to uninstall them but you can undo them and repair by using Norton Power Eraser. RKill was developed by one of the most popular website Bleeping Computer. It is a lightweight application that scans for any traces of running spyware programs. RKill only kills the running spyware programs but it can’t delete them. It is designed to use in concurrence with anti-malware software that can be used to delete the killed spyware and malware process. After scanning, RKill shows the results on the screen. Rkill can only reset corrupted files as well as registry associations to their defaults. STOPZilla is complete security software against spyware, malware, Trojans and worms. It can detects and removes spyware, malware, adware, rootkits, worms, keyLoggers, hiJackers, parasites, trojans, dialers and many other threats. It can effectively identify and quarantines current any spyware and malware threats. It provides the total protection from spyware threats and works alongside with any AntiVirus software. It has largest spyware threat database so that it can coverage the maximum stage in the detection and removal of spyware. 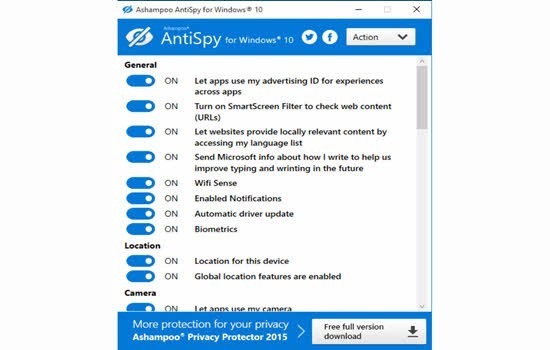 Ashampoo AntiSpy is a free portable tool that makes it easy to adjust many privacy related settings. It has a single dialog box that includes a list of settings and details information of each one. It can tweak more than 40 options like location features, webcam/ microphone access, covering browsing, updates, assorted telemetry settings, Cortana, Contacts and Calendar. To display user tailored ads as like Microsoft openly acknowledges, it analyze user profiles. It is very easy to use and its interface is user-friendly. If you want to keep your computer safe or want to run smoothly, you should use a spyware removal software that protects you from various types of unwanted threats, viruses, spyware, malwares, Trojans, spyware etc. We suggest you to use two spyware applications for more effective in detecting spyware threats. These are the best free spyware removal tools in the industry. If you have any question or suggestion or any problem about any spyware removal tool, feel free to comment below.